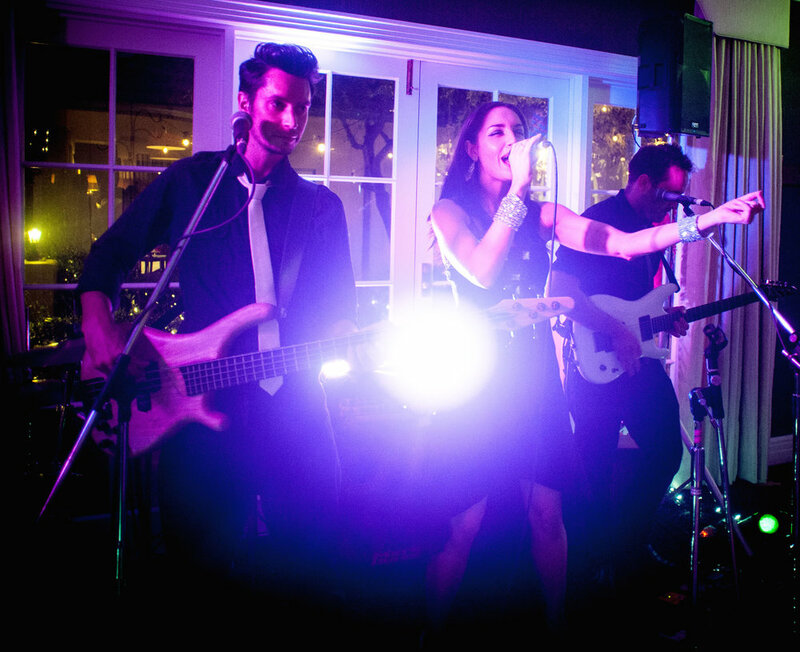 Fiona Treloar offers a versatile and dynamic 4-6 piece cover band, which has been performing at Sydney events big and small, since 2008, formerly under the name "SoulArte". 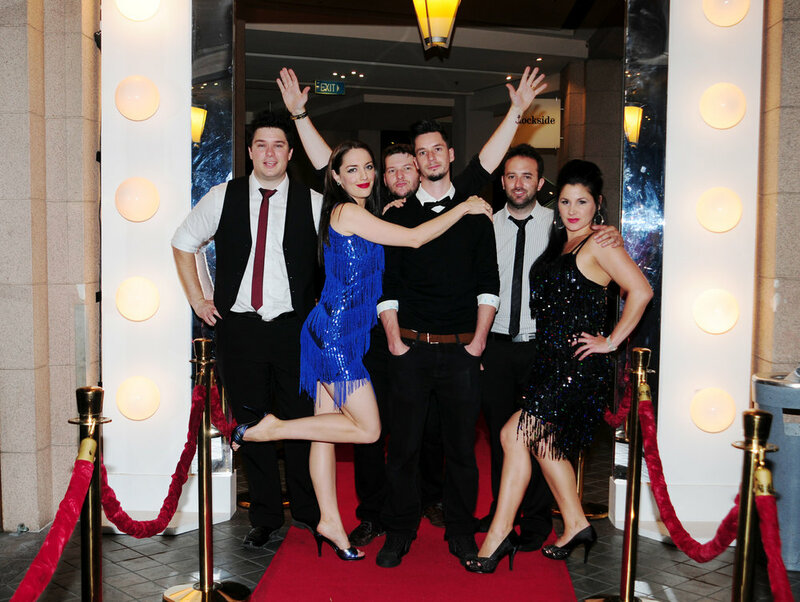 From wedding music to corporate entertainment, Fiona's band are ALL you are looking for: a mesmerising live show with excellent service, engaging performers and fantastic music for any situation or demographic! With a proven track record playing for hundreds of happy newly-weds, and companies such as Toyota, AMP, BUPA and Telstra since 2008, they are a dedicated and talented team of professional party animals guaranteed to impress!!! Most popular for the first dance at weddings, or to get the party started at corporate or private parties. Perfect for wedding ceremony, cocktails/canapés and reception or smaller corporate or private parties. Created specifically for events with small space or budget who still want to party!! All options include PA sound equipment, mics for speeches, lighting, lasers, smoke machine (where permitted) and unlimited live and background music for a 6 hour event. Your guest list is over 250 people. Your venue is over 1 hour from the Sydney CBD. You require more performance time. Thank you! If you need an instant answer, please text or call me on 0427 411 604. SoulArte is so versatile, beautiful voices with lots of energy to keep the party going, couldn't move on the dance-floor as everyone got into the groove. Such a great night - thanks for performing, you guys truly are a great band! The whole band was great, very professional and really made the night! The song selections were great. Everyone at the wedding commented on how much they loved the band and how great the singers were. Fiona was extremely helpful before the wedding, giving format and song selection ideas – the advice really made the whole process worry free. I would recommend SoulArte to anybody! Michael and I just wanted to take the opportunity to thank you so, so much for the way you made our night so magical. You are all so truly talented and we enjoyed the whole night thoroughly. From the moment we entered the room, you just had it lit up with sound and your professional appearance. It was just perfect! We had so many positive comments about the way your music added to the happiness of the day and we just wished we could have had the night last so much longer. We will definitely be recommending you to everyone and we’d love to find any public gigs you might have on so we can relive the feeling! Very well done and thank you so much once again. What a great way to start our married life together! Beautiful sound, great song list and great vocals, the perfect band for our pre-dinner entertainment… Lovely group to work with – SoulArte were a fabulous start to our ball, my guests thoroughly enjoyed them – thanks!